OOingle - What can I make with my Cricut Explore Family?? Make your own beautiful table decorations, banners, party favor boxes, cards, and more for the happy couple in just a few minutes! 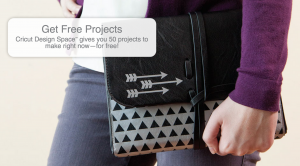 You’ll find some really impressive ideas in Cricut’s Design Space, such as this lovelyMr. & Mrs. card.